Join us for HCHS's first main stage theater event of this school year: William Shakespeare's beloved comedy A Midsummer Night's Dream. Directed by Hunter Theater teacher Meg Sturiano and produced by English teacher Caitlin Donovan, the production also features music by composer John McGrew. Remaining performances are on Friday, Nov. 21 at 4 p.m. and 8 p.m.; and Saturday, Nov. 22 at 7 p.m. 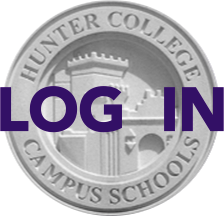 Ticket sales support the cost of Hunter's productions; they are $15 for adults, $10 for students, and $5 for Hunter students. Upcoming productions include Our Town, performed by our middle school students, in early February; the new musical The Average Achievers Club performed at the end of March; and our annual playwriting festival Brick Prison at the end of May.